It's not a huge change, but I'm happy with it. I have now more storage, my table lamp is in a good hight for reading and I got rid of the weird old nightstand. I LOVE white! This is fabulous! I think your first painting job turned out perfect! I also love your bedframe - it looks fabulous! This is gorgeous! 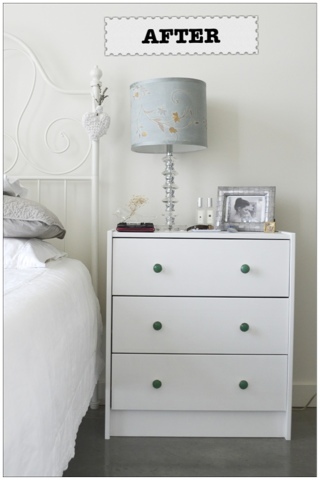 I love small scale furniture and love this little chest of drawers. Great job. 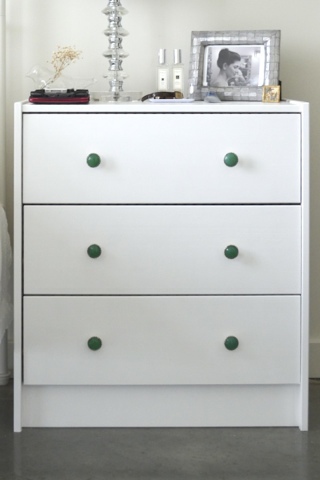 Love that little touch of green on the dresser! It turned out beautifully!! 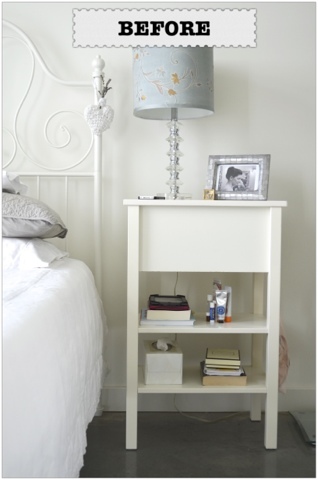 Perfect idea to have a small chest for storage~my night table looks like things are falling out :) Great job! Who wouldn't want to sleep in this room?! Great project - fabulous outcome! Thanks for sharing best furniture guidelines and we must follow it for better furniture.